CHARLOTTE, North Carolina, September 19, 2016 (ENS) – Bank of America today pledged to go carbon neutral, and to use 100 percent renewable electricity by the year 2020. The bank says it will manage facilities that support its 4,700 retail financial centers and 16,000 ATMs for protection of the climate. The bank has set the goal of achieving carbon neutrality for Scope 1 and 2 greenhouse gas emissions. Scope 1 covers all direct emissions, while Scope 2 covers indirect emissions from consumption of purchased electricity, heat or steam. Bank of America says it will work to reduce location-based greenhouse gas emissions by 50 percent, energy use by 40 percent, and water use by 45 percent in its operations across the globe by 2020. In addition, Bank of America has committed to purchasing 100 percent renewable electricity and has joined RE100, a global initiative led by The Climate Group in partnership with CDP and part of the We Mean Business Take Action campaign. “Addressing global issues like climate change and the transition to a sustainable and low-carbon future takes collaboration, innovation and investment,” said Anne Finucane, vice chairman, Bank of America. She said the bank’s new commitments build on the success of the company’s 2015 operations goals and the deployment of its $125 billion environmental business initiative. From 2010 to 2015, the company reduced its greenhouse gas emissions by 37 percent, primarily through implementing energy efficiency projects, consolidating space and leveraging a less carbon-intensive grid. To achieve carbon neutrality, the bank will continue to scale its energy efficiency and conservation efforts, purchase 100 percent renewable electricity, and utilize carbon offsets. The company is modernizing its data center footprint to support the carbon neutrality, energy reduction and water reduction goals. Additionally, the bank recently purchased Texas-based wind power for the company’s Texas data centers. This represents nearly half of statewide electricity purchases and will contribute five percentage points toward the 2020 carbon neutral goal. The bank also is implementing a wide variety of energy efficiency programs, such as lighting upgrades planned for 900 financial centers in 2016. 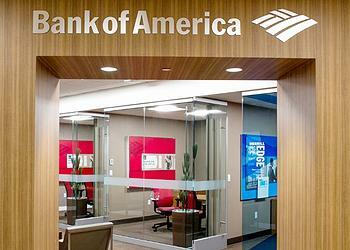 Bank of America for the first time announced quantitative goals to address emissions in its supply chain. The bank recently joined the U.S. Department of Energy’s “Workplace Charging Challenge,” through which participating companies commit to add charging stations for electric vehicles in their parking facilities, enabling employees to expand low-carbon commuting options. This complements an existing bank program that encourages employees to purchase electric vehicles by reimbursing a portion of the cost for the electric vehicle or charger.